So you’re ready for book two already?? So you finished my first book and you’re ready for the next one??? Well, fear not. Here’s what you can expect in Book two. Christmas vacation now over, it’s time for Sara Donnelly to head back to New Paltz University. What promises to be a happy semester and future with the man of her dreams turns out to be just the opposite when Daniel mysteriously disappears only a few weeks into term. Torn by feelings of betrayal not only for the man she loves for abandoning her, but also for the grandfather who isn’t telling her everything he knows, Sara finds her way into the arms of another. Desperately searching for stability in a life that feels as if it’s coming apart at the seams, Sara turns to her best friend Ben. Finally giving in to the feelings she’s always had for him, she finds a quiet spot in the eye of the storm. But can she be happy with a love that seems only a shadow of the tumultuous emotions she still feels for Daniel? After she discovers that Ben isn’t exactly who he’s claimed to be, Sara decides to take a chance on him, but mysterious forces in her life may already be taking that decision out of her hands. 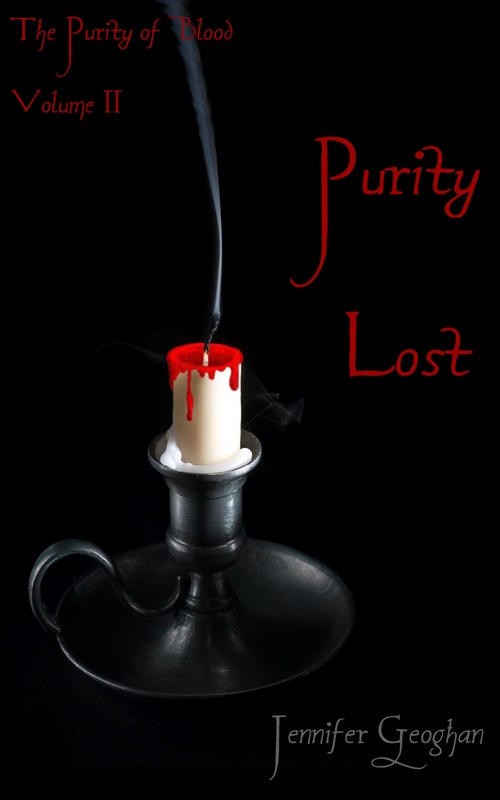 This exciting second novel in Jenifer Geoghan’s popular The Purity of Blood series is not to be missed. ← Psst … Looking for a good book to read?